As you probably already know, there are two seasons in Costa Rica, a wet season (winter) from May to November, and a dry season (summer) from December to April. Additionally, there are many micro-climates here that change the weather, usually depending on altitude and topography. The climate is different on the Caribbean slope than on the Pacific side. 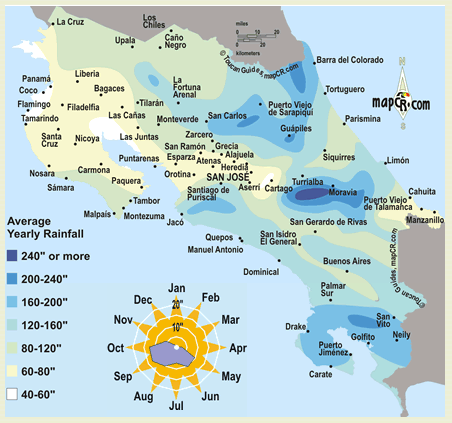 Guanacaste in the northwest region of the country gets a little less rain and more sun, while the Osa Peninsula in the southwest gets more rain and less sun. But today I want to focus on our weather right here in San Ramón. We live in the mountains at 4,000 ft. elevation, while the town of San Ramón (4 miles away) is about 3,450 ft. It’s July and we are in the middle of the rainy season. Yesterday, we had a downpour and for the last several days it’s been raining pretty hard. The San Ramón area gets between 60 and 80 inches of rain a year. But interestingly, only 15 days of the rainy season provide 70% of the total annual rainfall and yesterday was one of those days. Even though, we’ve had a fairly dry rainy season so far. May, which usually has nine inches of rain, had about four. June, which usually has more than 11 inches, had about 6 inches of rain. July is still an open book, but averages 8.5 inches. The wettest months, September and October, are yet to come. Because weather data is not available for San Ramón, I had to go with San Jose data. As you can see from the colored chart above, it’s similar, between 60 and 80 inches per year. Since we live in the mountains at 4,000 ft. near San Ramón, you can probably tack on an inch or two to some months. 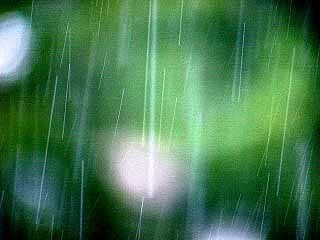 Since 70% of the annual rain falls on only 15 days of the year, those days must average 3.73 inches, times 15 days, or 56 inches of rain. The rest of the time, the other 180 days of the rainy season, receives about 24 inches. Most days in the rainy season are not downpours, but rather rainy days somewhat like Seattle, Washington or Portland, Oregon, with a lot of clouds, a little rain, drizzle, showers, and brief periods of hard rain. San Ramón is noted for its pelo de gato (hair of the cat) which translates into soft drizzle, so typically it doesn’t rain that much most days – but it seems like it’s always raining, especially in the afternoons. Usually weather-talk is small-talk but for me, an amateur meteorologist, it’s exciting and a prime topic of conversation. Every morning at 6:00 am, I rush out to look at my mercury thermometer and rain gauge. Gosh, life is so exciting! As Gloria always tells me, I’m easily pleased. Meteorology was a hobby of mine since I was a little boy. I took a couple of meteorology classes in college and later, when I was in the Army, worked as an Artillery Ballistic Meteorologist in Vietnam, collecting weather data. 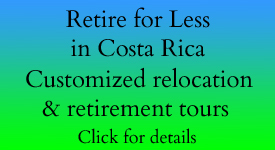 Now that I’m semi-retired in Costa Rica, I can indulge myself in this long-held interest. Who knows, someday I might really have my own weather station right here on the mountain just outside San Ramón. 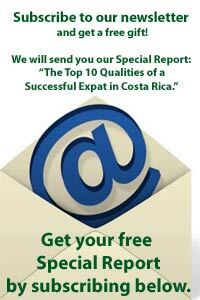 Last month we told you about the climate in Costa Rica. This month, we want to focus on the temperature and rainfall in our corner of Costa Rica – San Ramón de Alajuela – right outside our cabina, located at 4,000 ft. elevation. Right now, we are in the middle of the rainy season. The San Ramon area gets between 60 and 80 inches of rain a year. As we stated in last month’s newsletter, only 15 days of the rainy season provide 70% of the total annual rainfall. So how did July and August fare? Beginning on July 17th, we started to accumulate some hard data, taking the temperature at 6am, mid-day, and 6pm daily, as well as rainfall totals for the previous 24 hours, measured at 6am. Sounds like a lot of rain, doesn’t it? After evaluating the data, we asked ourselves, “Did it seem like we got 22 inches of rain these last 44 days?” The answer was a resounding “No!” It seems much less when you’re here. When it does rain, it usually rains in the afternoons, after 2pm. Mornings are often sunny, even up here at 4,000 ft., four miles from San Ramón. The afternoons provide a great time to read, nap, cook, write – any past-time that doesn’t require electricity or Internet (in a big thunder-bumper, they could go out). Most days in the rainy season are not downpours, but rather rainy days somewhat like Seattle, Washington or Portland, Oregon, with a lot of clouds, and a mix of drizzle, showers, and brief periods of hard rain. From July 17th through the 31st (15 days), we received 4.08 inches of rain. On July 17th we received 2.5 inches (more than ½ of the total rainfall for this period). Typically in the month of July, there is a little less rain; this period is called theverania de San Juan, or “little summer,” and schools have a two week break during this period. For the first 29 days in August, we received 18+ inches total, with three days over 3 inches (accounting for half of the rainfall for this period.) 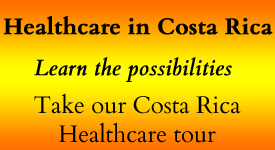 Statistically, in Costa Rica, 70% of the annual rain falls on only 15 days of the year. The rest of the time, the other 180 days of the rainy season, receives about 24 inches. At the end of this rainy season, we’ll see how San Ramon measures up. We live four miles west of San Ramón in the mountains. You can see the location of San Ramón on this rainfall map. Click on it to enlarge it. If you would like to see monthly regional rainfall in different areas, click here to view the interactive map. Just hover your cursor over any area in the country to see monthly regional rainfall for that area. It may surprise you! The map shows us that San Ramón gets between 60 and 80 inches of rain. Also notice that San Ramón is near the green area, denoting more rain. Our mountain is not shaded green but probably should be, as more rain falls here than in the town of San Ramón. Let’s see what happened on our mountain at 3950 feet last month. As you will see, the amount of rainfall increased as we headed into the wettest time of the year, September and October. All data was taken between the 30th of August and September 30th. We took the temperature at 6am, mid-day, and 6pm daily, as well as rainfall totals for the previous 24 hours, measured at 6am. As a reminder, only 15 days of the rainy season provide 70% of the total annual rainfall. Interestingly enough, we missed the two big rain days – 3.7” and 4.1” – we were at the beach, 25 miles away, enjoying beautiful days. In both cases, as we drove up the mountain, we drove into the rain and clouds. You might wonder why we live up high where it rains so much. Well, in truth, it rains at lot at the Central Pacific beaches too, as you can see from the rainfall map. They tend to get their rain later in the day and throughout the evening. We live high to avoid the heat and humidity. Actually, on a good day, usually in the morning and again at sunset, it’s so clear that I can see the Gulf of Nicoya from our porch. Costa Rica has never had a direct hit by a hurricane, but tropical storms are expected during the rainy season, mostly lasting two to three days. This is illustrated in the NOAA hurricanes in history map. You can see that 99% of the activity is north of Costa Rica. 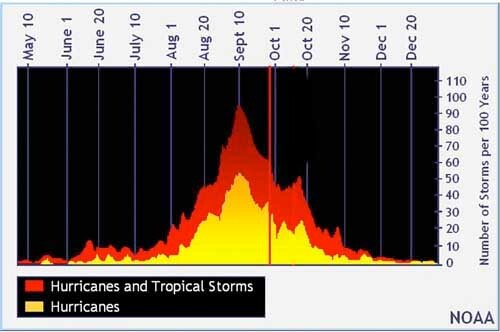 And you can see in the following graph that, overall, there are more tropical storms in September and October than at any other time of the year. 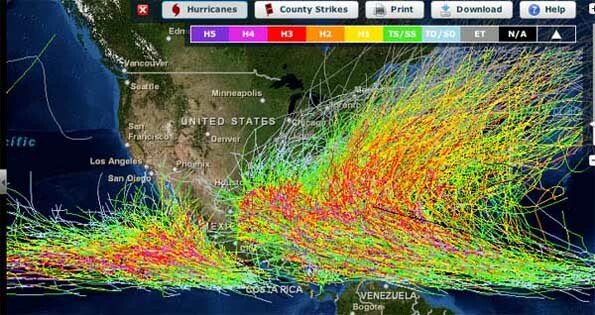 Tropical storms are represented by the orange band. Let’s see what happened on our mountain at 3950 feet elevation, four miles west of San Ramón. As you will see, the amount of rainfall increased in the month of October, which is one of the wettest months of the year. We took the temperature at 6am, mid-day, and 6pm daily, as well as rainfall totals for the previous 24 hours, measured at 6am. As a reminder, only 15 days of the rainy season provide 70% of the total annual rainfall. It was a cloudy month which helped keep the temperatures low. It’s usually about 5 degrees warmer in the town of San Ramón. That’s it for this report. We’ll continue the weather info next month. Let’s see what happened on our mountain at 3950 feet elevation, four miles west of San Ramón. As you will see, the amount of rainfall decreased dramatically in the month of November. November is also the beginning of the “Christmas winds” which herald the transition to the dry season. We took the temperature at 6am, mid-day, and 6pm daily, as well as rainfall totals for the previous 24 hours, measured at 6am. As a reminder, only 15 days of the rainy season provide 70% of the total annual rainfall. November was a mix of cloudy and sunny days. It’s usually about 5 degrees warmer in the town of San Ramón. That’s it for this report. We’ll continue the weather info next month. Let’s see what happened on our mountain at 3950 feet elevation, four miles west of San Ramón. As you will see, the amount of rainfall continued to decrease as we entered the dry season in the month of December. Although it can rain in any month, we don’t expect any significant rainfall until May. The dry season has set in on the Pacific side of the continental divide, while on the Caribbean side, it’s one of the wettest times of the year. On the Caribbean, the rainfall is more evenly distributed throughout the year. Although, in the southern Caribbean, September and October are the dryest months. 2 inches of total rainfall over only 3 days, December 12th, 13th and 14th. December was still a mix of cloudy and sunny days; there were more cloudy days in the first three weeks and more sunny days in the last 10 days of the month. It’s usually about 4-5 degrees warmer in the town of San Ramón which is 500 feet lower. That’s it for this report. We’ll continue the weather info next month.